"Highlights : How to Register Shaadi Mubarak Scheme telangana online |Check TG SM Scheme Application Status online through telanganaepass.cgg.gov.in | How to apply Shaadi Mubarak scheme online | Telangana Shaadi Mubarak Scheme online application form | Shaadi Mubarak Scheme in telangana | SM Scheme in Telangana | Check Shaadi Mubarak Scheme Application Status online | Minority Welfare "
Minority Welfare Department Government of Telangana has announced a novel scheme "Shaadi Mubarak" scheme for the Poor Muslim girls. A one time financial assistance of Rs. 51,000 will be provided to the bride's family at the time of marriage to meet the marriage related expenses. Muslim girls who residence at Telangana state, those persons can apply Shaadi Mubarak Scheme online. Girl must be completed 18 years of age, belonging to Muslim Community with a combined annual income of her Parents not exceeding Rs 2 lakh is eligible for the "Shaadi Mubarak" Scheme. How To Apply Telangana "Shaadi Mubarak" Scheme online ? Minority girls who face numerous hardships and problems at marriage and government enabled a scheme for conducting of mass marriages of poor Muslim girls in the State. The Government of Telangna has reviewed the performance of the said scheme and after detailed examination and in suppression of all orders issued, introduce the scheme of "Shaadi Mubarak" for all UN married girls belonging to the minority community. Who is eligible for "Shaadi Mubarak" scheme in Telangana ? Minority girl Who residence at Telangana State those person can be eligible for "Shaari Mubarak" Scheme. Beneficence should have completed 18 years of age at the time of marriage. The Wedding of the said girl shall be or after October 2, 2014. Income of the Parents shall not exceed Rs.2,00,00/- per annul. (a) Application shall apply online for the Telangana "Shaadi Mubarak" by accesing the website at the following site http://epasswebsite.cgg.gov.in through any Meeseva Center. Optional details for scanning and uploading : SSC Hall ticket number and year of passing where applicable. 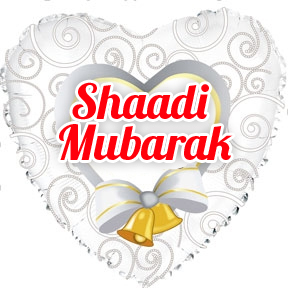 Than Click on "Shaadi Mubarak" Picture logo. How to check status of TG SM Scheme Application Status online ?